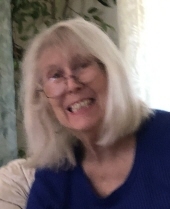 PEORIA—Phyllis O. Markley, 78, of Peoria, passed away peacefully in her sleep at 7:55 p.m. Wednesday, January 16, 2019 in Peoria, Illinois. Phyllis married Donald L. Markley on August 9, 1964 in Vermont, IL. He preceded her in death on October 22, 2009 in Peoria. Also preceding her in death were her parents. Surviving are two daughters, Angela S. (Garth) Peterson of Kansas City, MO, Melissa J. (Kody) Rountree of Valparaiso, IN; three grandchildren, Caroline Peterson, Gabriel Peterson, Wyatt Rountree; one surviving brother; her dog, Tobias and her cat Walter. Phyllis and her husband founded D.L. Markley & Associates in Peoria, a consulting engineering firm, where she was the Chief Financial Officer. Before working with her husband, Phyllis was a school teacher, teaching in several rural schools and teaching English at Richwoods High School. She graduated with a Bachelor's and Master’s in English/Education from Western Illinois University. Phyllis served on the Peoria District 150 School Board for 18 years, and served as president for three terms. Phyllis also headed up the Peoria Public Schools Foundation at its inception. She was instrumental in establishing the foundation's financial success in providing services for classroom support. In addition to her work on the school board, Phyllis served on the Sigma Kappa Sorority national council for eight years, including six years in the role of national president. She also founded the Sigma Kappa Foundation, served as its president, and was a trustee of the foundation for many years. Phyllis was also active with the Western Avenue Greenway Project. Funeral services will be at noon on Tuesday, January 22, 2019 at The Wilton Mortuary where visitation will be from 10 to 12 Tuesday at the mortuary. The Reverend Marla Bauler of the First Presbyterian Church of Elmwood will officiate. Private graveside services and burial will be at Vermont Cemetery in Vermont, IL. Phyllis loved spending time with her family, often at her home in Las Vegas, as well as seeing her close and warm friends. She adored her three beautiful grandchildren and cherished the time she spent with them. She was also a fan of University of Alabama football and the New Orleans Saints. Memorials may be made to the Peoria Public Schools Foundation, https://www.ppsfoundation.org/give-to-ppsf. "Email Address" would like to share the life celebration of Phyllis O. Markley. Click on the "link" to go to share a favorite memory or leave a condolence message for the family.